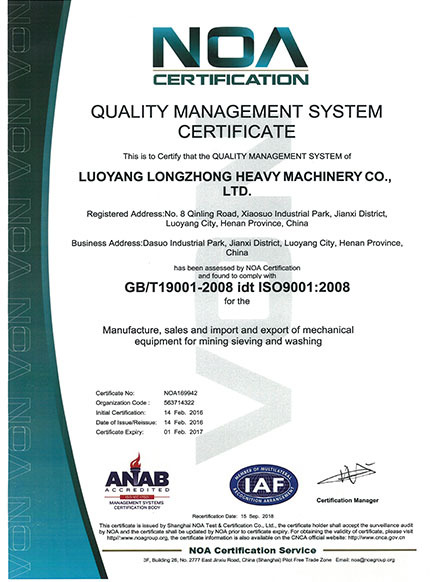 LZZG finally obtained the ISO9001 certificate of international quality system certification today after layers of approval of national level quality supervision departments. 3. Provide trustedequipment for customers and sellers, and help the two sides to reach an agreement in the further market. Luoyang Longzhong Heavy Machinery Co., Ltd. (LZZG) is an international enterprise specialized in R & D, production and marketing of mining machinery and industrial milling equipment. Our company develops the production of mining machinery and industrial milling equipment, crusher products are widely used in mining, metallurgy, construction, chemical, power, steel and other industries. 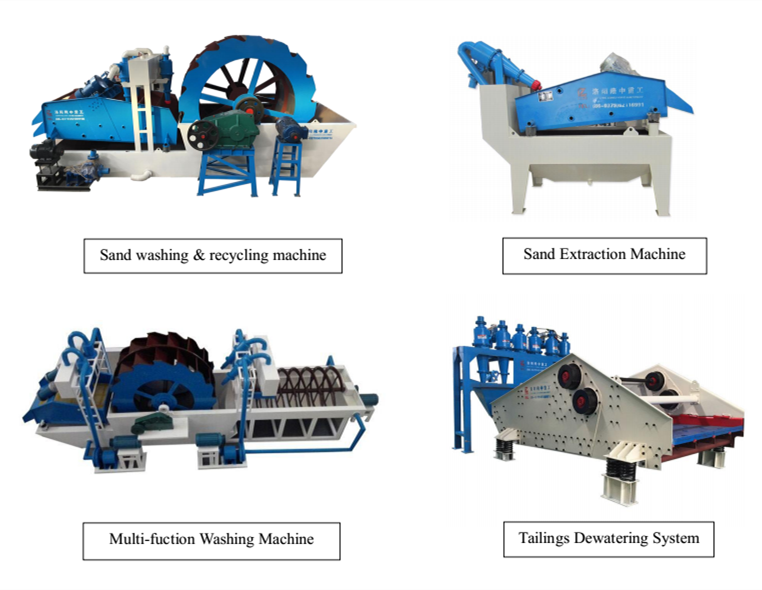 The main products of our company are dewatering screen (sand sifting machine), sand washing & recycling machine, sand extraction equipment and other mining machinery and industrial milling equipment. Our products are exported to Europe, Australia, North America, South America, Southeast Asia, the Middle East, Central Asia, Africa and other countries.